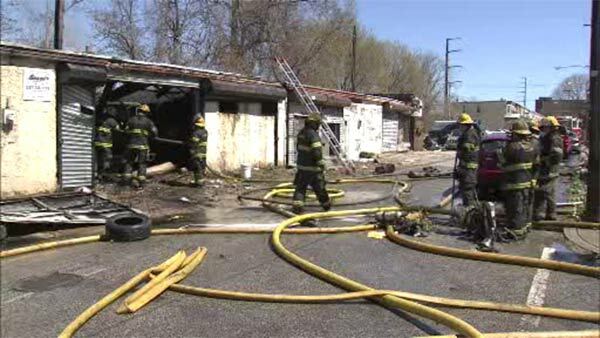 NORTH PHILADELPHIA (WPVI) -- Firefighters battle flames inside a commercial building in North Philadelphia on Sunday afternoon. The fire was reported around 1 p.m. on the 2700 block of Willard Street. There, crews reported heavy smoke showing from a garage. The fire was placed under control at around 1:30 p.m.